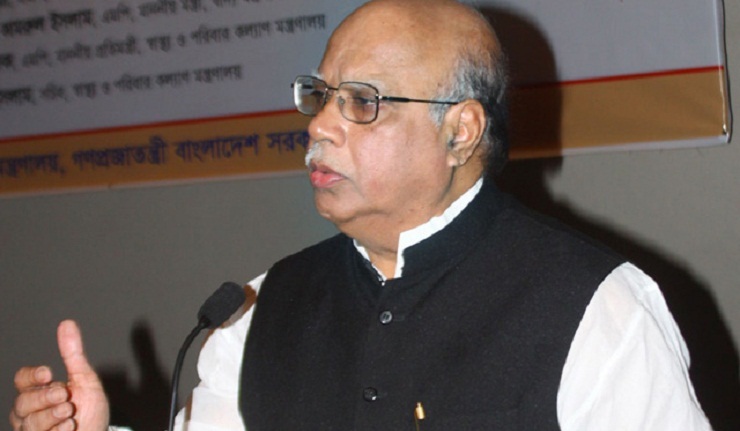 Awami League Presidium Member Mohammad Nasim has urged the countrymen to re-elect the Awami League in the next general election for continue uninterrupted development in the country. Nasim also the Health and Welfare Minister made the call while addressing as the chief guest a discussion meeting jointly organized by Muktijudder Chetona Bastabayan Manch and Mukitjoddah Jubo Command at Jatiya Press Club (JPC) auditorium in the capital on Tuesday. Shipping Minister Shajahan Khan also spoke at the function with Mukitjoddah Jubo Command Chairman Nazrul Islam Bachchu in the chair. The minister said Begum Khaleda Zia has supported those who brought militancy in the country, adding they had killed people through firing and burning and so people no more want to see them in power. “The people will vote for the Awami League in the next general election for maintaining the pace of development,” he said. Informing that the election would be held as per the constitution, Nasim said Sheikh Hasina will be the chief of the election time government as it is impossible to go beyond the constitution.